IITE(Indian Institute of Teacher Education) Admission 2018 The Indian Institute of Teacher Education is a state university located at Gandhinagar, Gujarat, India. 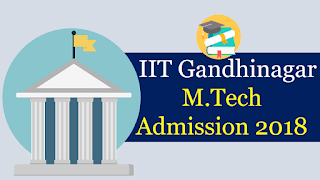 IITE Admission 2018. It was established in 2010 by the Government of Gujarat and focuses on teacher education. All the candidates who want to get admission here can apply online and fill the admission application form. Here we are providing you the IITE Admission 2018 Application Process for all the courses. First of all, you have to visit the official website to download the Indian Institute of Teacher Education (IITE) Admission 2018 Application Form. Then you have to enter all the required personal details. You need to check all the details carefully after submitting the form. You can also pay online. The required documents which needed during the admission process are listed below.